Will water shortage result in the USA invading Canada? One person can stop a water war if he isn't killed first, but is he a hero or a traitor? When two very different worlds collide the outcome is on a knife edge. California and the Southwest are fast running out of water. Drought threatens to destroy the livelihood of millions and result in the biggest forced migration in history. The President needs to find a solution quickly, while keeping the true scale of the problem secret to avoid panic and his plan confidential to prevent opposition to it. Witnessing a murder, Angel discovers the reason for it and finds the he has now become a target. He embarks on a dangerous quest to reveal the truth and try and change the future. Events spiral out of control propelling America and Canada towards military conflict. 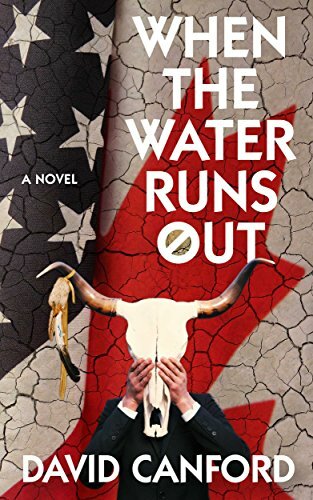 A thriller that flows from Arizona to Northern Canada and DC to Ottawa, with conspiracy, murder and a hunt through uncompromising wilderness. Set only a few years in the future, a novel of what could happen. Will the water run out? "This is an excellent read for the genre"
"DC has written a novel of the future except it is happening today"
"A number of threads come together for a really good ending." "Almost reads like the days headlines! I am going to make sure all my CA family and friends read this one!" "Clear and concise writing. Very engaging."